Offering all the quality services your family needs to make things easy. Whether your loved one needs Memory Care or Short-Term Rehabilitation, we have the expertise to meet your needs. 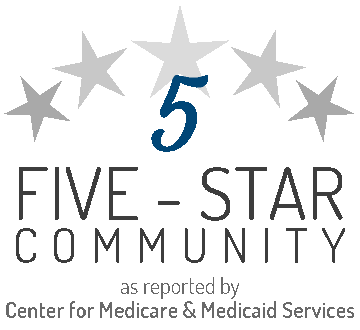 Ranked 5 Stars by the Center for Medicare and Medicaid Services in 2017. It seems no sooner do you move in to this community than our caring staff knows your name, your sense of humor, and your favorite dessert. And while we can never replace your own family, we’ll come to know you—and you’ll come to know us. 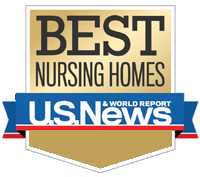 Brooking Park was rated a Best Nursing Home by US News & World Report. Come visit us and learn why we consistently have great rankings and reviews! Located in Chesterfield, Missouri, about 30 minutes from St. Louis, Brooking Park is a not-for-profit, faith-based Life Plan Retirement Community for active seniors, offering a full spectrum of health services. 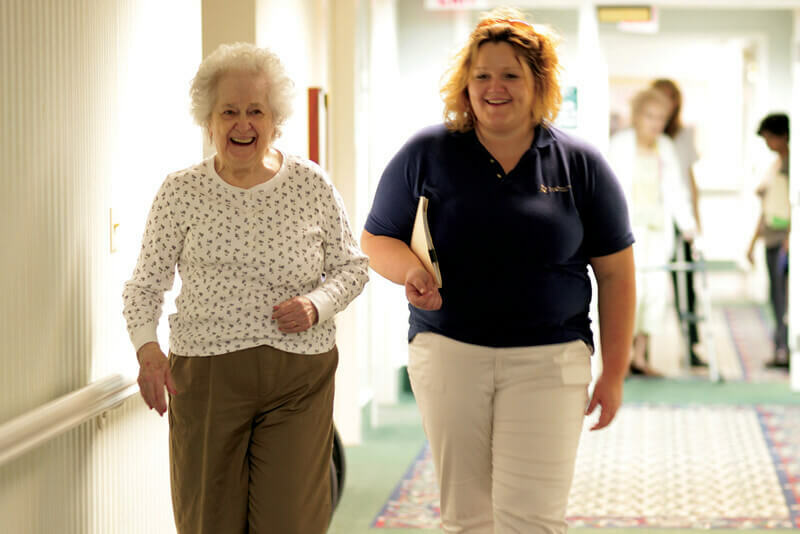 We provide assisted living, memory care, and skilled nursing care, as well as respite care and rehabilitation services to help individuals and families be at their strongest. Brooking Park has been ranked as a "Best Nursing Home" by US News & World Report, and a 5 star community by the Center for Medicare and Medicaid Services. Come visit us and learn more about what makes us the best choice for assisted living services! Senior adults who have chosen Brooking Park for our expertise in Medicare Rehabilitation, Assisted Living, Memory Care, and Skilled Nursing Services have come from all over the area, including Chesterfield, Clayton, Frontenac, Manchester, Ballwin, Ladue, Creve Coeur, Town and Country, Des Peres, O’Fallon, and other parts of St. Louis County. We are happy to welcome them all! Our memory care household focuses on the individual, building relationships that are affirming, satisfying and meaningful for our residents, care partners and families. 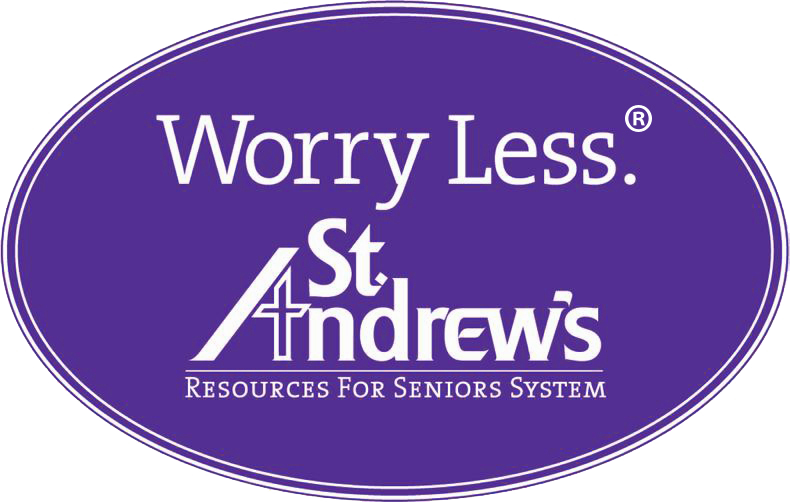 Our Assisted Living services provide a homelike environment for residents to receive the daily assistance they need. 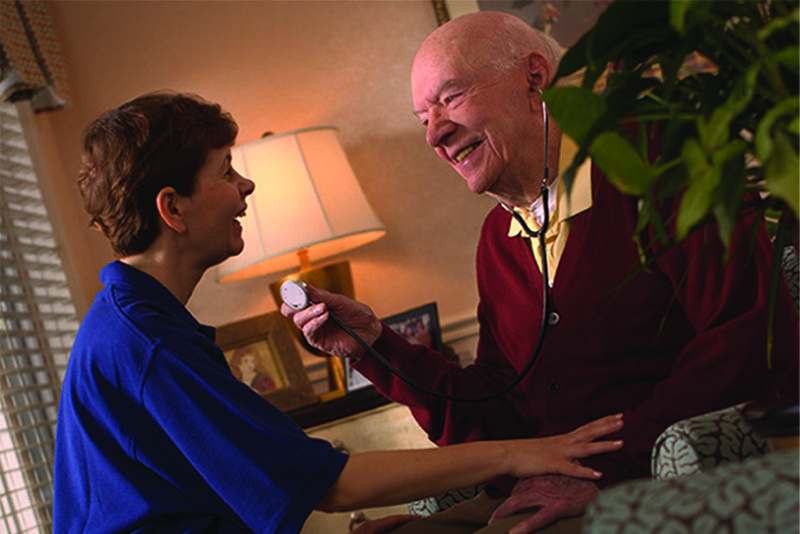 We offer long term skilled nursing care, designed to provide full-time nursing and medical services to seniors with more serious health needs. Short-term rehabilitation and Medicare rehabilitation services are designed to provide skilled care after an illness or surgery.